Anyway, back to my weekly dose of cosmetics. 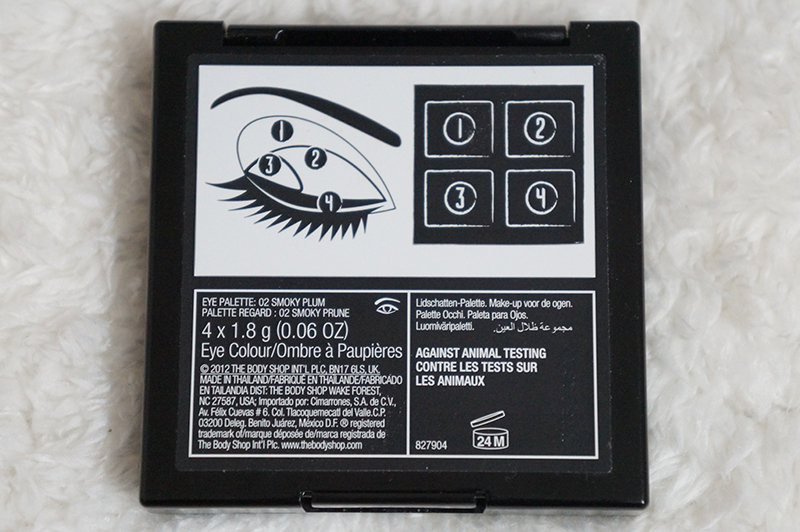 I'm introducing a basic eye palette that I've gotten through CLEO megazine here. There was this awesome promotion going on with CLEO magazine last year, get a magazine with the price of RM 30 and get an eye palette worth of RM 99. This was the best deal ever and I can say I am pretty much satisfy with this eye palette. 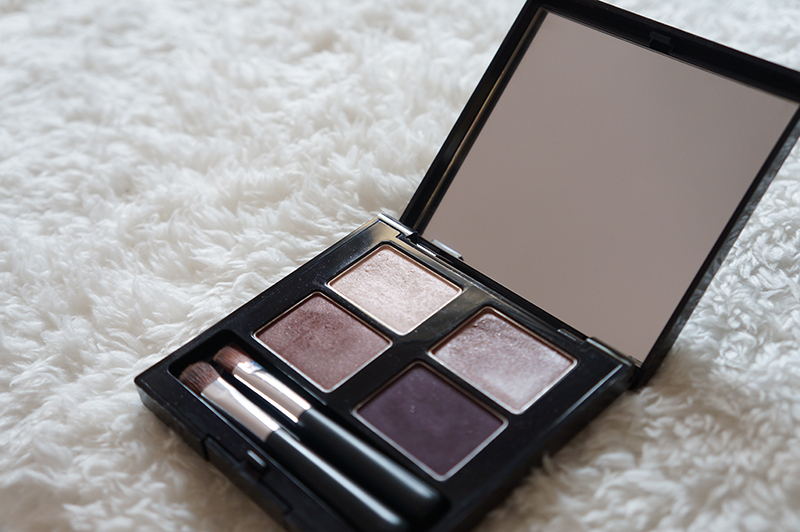 The eye palette has a huge mirror attached to it, allow one to put on the eye make-up easily. Here is how the colors look like under natural lighting. It has a slot to place the two compliment brushes in the palette. 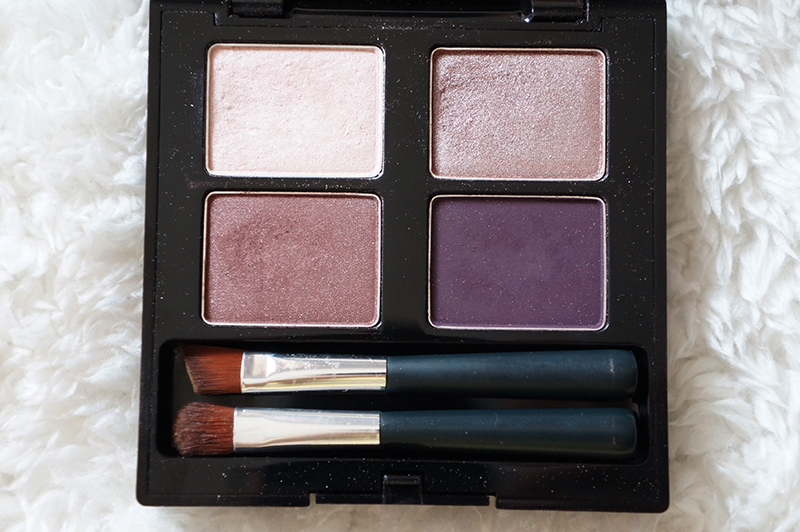 The eye palette comes together with two small brushes: the eye shadow brush and angled liner brush. They are the miniature version of The Body Shop brushes sold in the store. 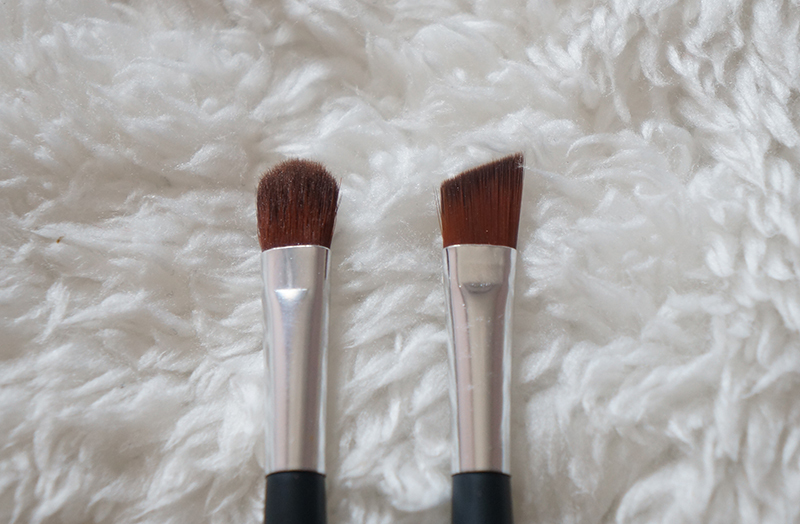 It's quite fluffy but I'm prefer to use my own brushes. Here is how the color looks like on the skin. The dark purple shade is in matte and has no shimmers on it. The champagne shade has the most shimmers and looks perfectly bright on the skin. Here is how the shades looks like on the eyes. I'm using the darkest shade as eyeliner, drawing it as close as possible to the lashes. 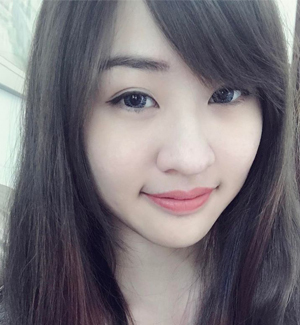 The colors are not very vibrant, suitable for daily makeup. 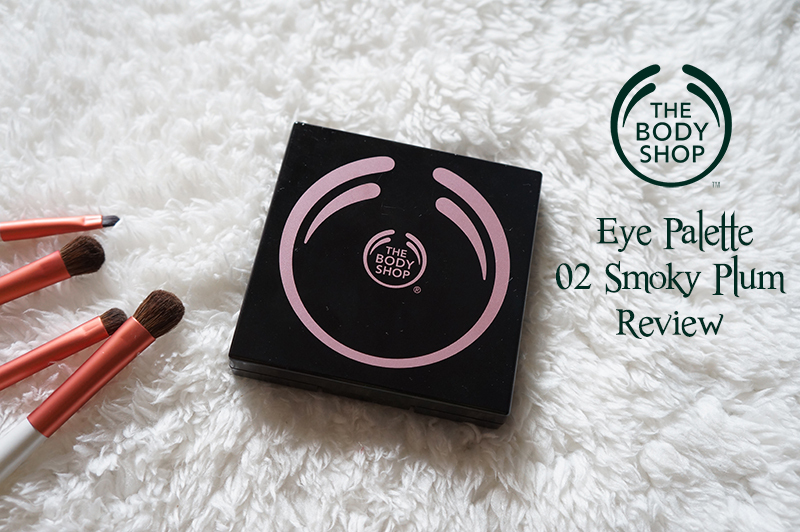 The eye palette can also be used to achieve a smokey eye make-up, With different types of make-up techniques, you can simply achieve a pair of simple smokey eyes, or a pair of dramatic smokey eyes. It's a simple yet useful eye palette. 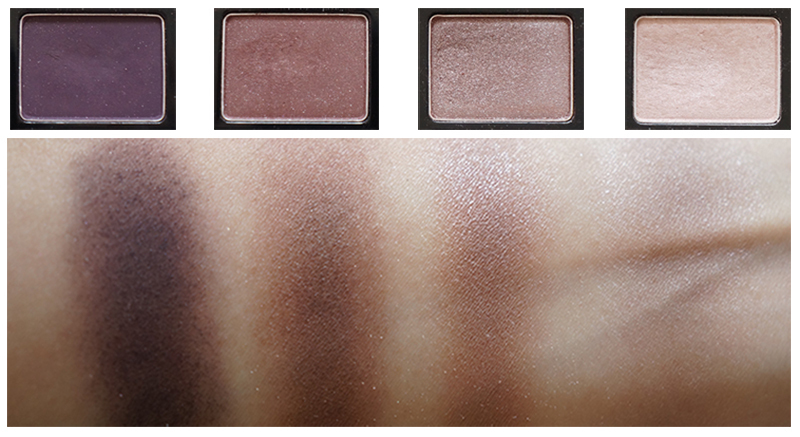 The shades are gorgeous and it stays on the eyelid for a long time too. It is quite convenient to bring around, if you have a cosmetic pouch with you all the time. I personally love the champagne shade the most because it can be used as a highlighter too. I often use it under my eye area to "cover" my dark circles. I'm pretty much satisfy with this eye palette and I can't really mention any bad thing about it.